The Gelid Antarctica is an exceptionally quiet CPU cooler that provides excellent cooling thanks to the 140 PWM fan and a 3D optimised heatsink. 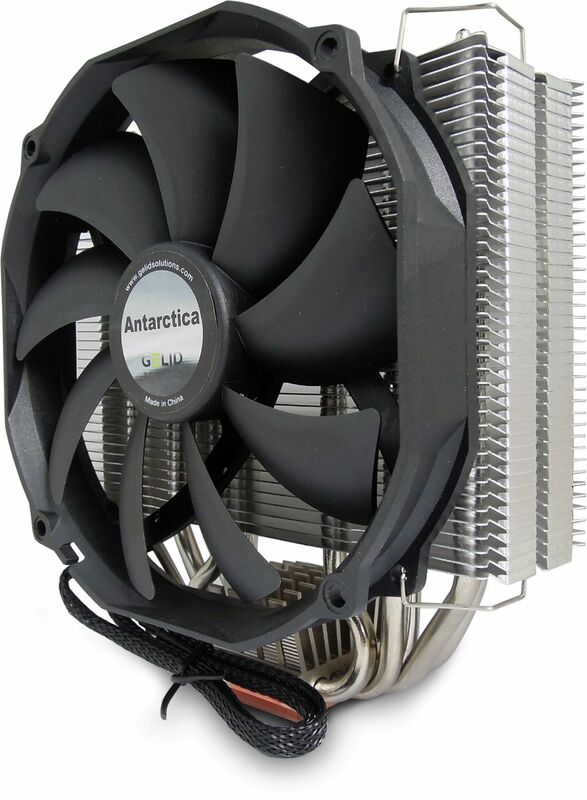 Gelid's Antarctica comes with a 3D optimised heatsink that offers best-in-class thermal performance. 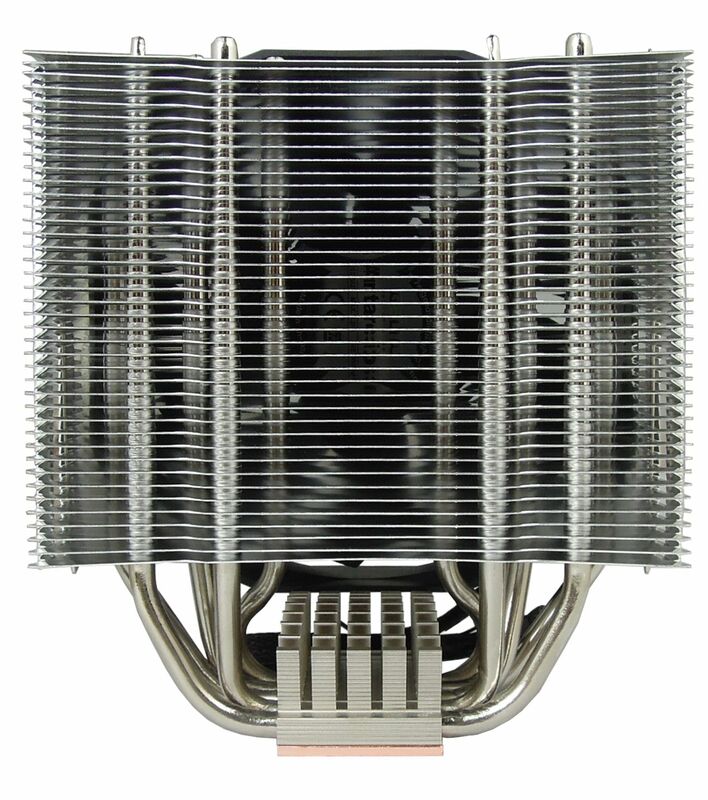 The engineers of GELID Solutions especially designed a set of five power heat pipes, aluminium fins with improved profiling and an additional smaller heatsink with a copper core. 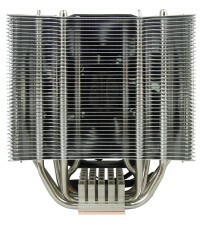 These elements provide exceptional heat transfer from the CPU to the heatsink. 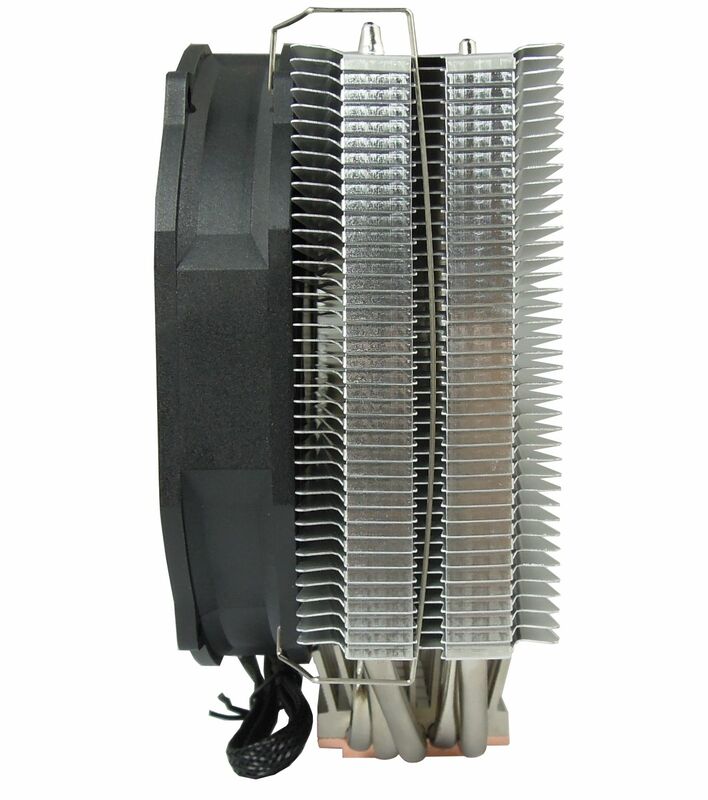 Both heatsinks were created using precise software simulation and calculation during the development stage to ensure efficient air flow distribution at the lowest fan speed possible. 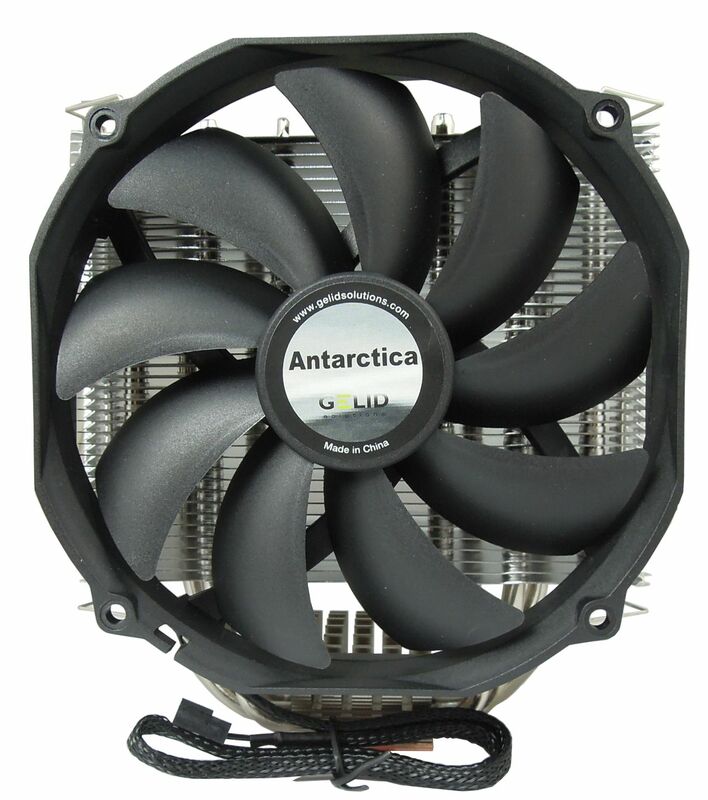 The result, the Antarctica fully supports heat transfer of TDP 220W being paired with even very low-speed, virtually noiseless fan. 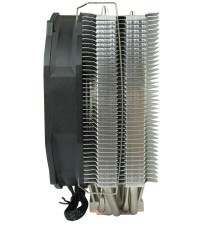 A very quiet 140mm fan with the intelligent GELID PWM (Pulse Width Module) control complements the heatsink. The fan blades are optimised to deliver high air flow at low speed and the newly designed PWM IC eliminates any clicking noise. The intelligent GELID PWM curve operates the fan in an extended speed range of 450 RPM to 1500 RPM, it constantly keeps the fan quiet but accelerates whenever additional cooling is required. 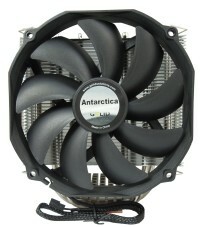 With two sets of fan mounts, a second fan can be installed to improve the cooler’s outstanding performance even further. Additionally, the multi-award winning high performance GC-Extreme thermal compound is included in the package.